It’s about time Intel’s Ivy Bridge processors made their way across the globe, and the upgrades are starting to roll in hot and heavy. 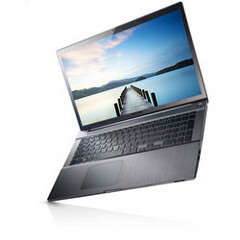 This time around, its Samsung’s turn to announce that their Series 7 notebooks will be equipped with the latest Intel has to offer. The company's Series 7 Gamer and Series 7 Chronos notebooks now come with Intel Ivy Bridge processors, although details about the exact models are scant. For now, we know that the 17.3” Series 7 will feature a 2.30GHz Core i7-3615QM, but the rest of the lineup remains up in the air. Samsung also revealed a bit of info about the graphics that’ll reside in the refreshed Series 7 notebooks, as the Gamer will now come with an NVIDIA GTX 675M and the Chronos will make do with a GT 640M. For the time being, the refresh is limited to South Korea, but it should make its way stateside soon enough. No pricing info has yet been revealed, but the refreshed 17.3” Series 7 is priced at $1,500.